In home small dog boarding utilizing couches, not kennels. 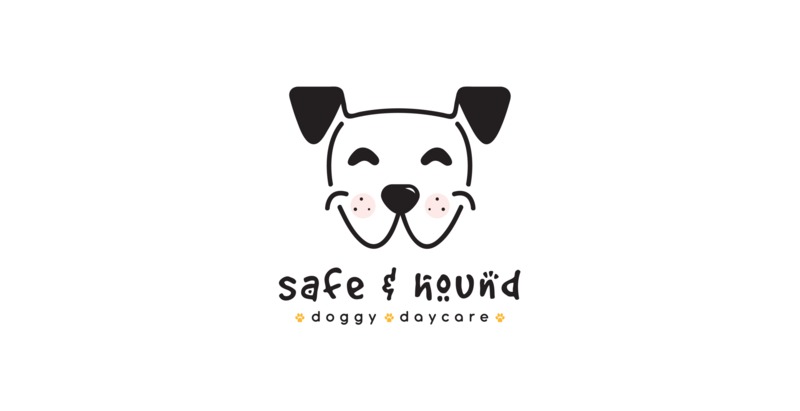 Our purpose is to provide a safe, happy and joyous space for your four legged family members to receive the unconditional love and attention they so freely give us, while meeting new friends. Meet the Owners: John and Crystal Jayne. After having our miscarriage in 2014, John surprised me with Ronin; a mild mannered German Shepherd, old soul, who loves steak. Within a couple days of bringing him home, he became sick and was diagnosed with Parvo. My heart was breaking once again. I thought for sure we were going to lose him. After 10 days being in the hospital receiving IV fluid treatment, we decided to bring him home on hospice care. Well, he finally ate white rice and He LIVED!!! He has taught us so much about love, life, patience, and we have an inseparable bond. I got baby fever again and we adopted Kodiak, our energetic, talkative, bull in a china shop, German Shepherd who always has a smile on his face. Keeping the fort down at home, we have MIA, our elderly female German Shepherd, who loves slow walks and long naps. We truly believe hearts and lives are forever changed by the companion of a dog and we are dedicated to serving our community. So, who hasn’t wanted to or at least thought about being a Stay at Home Dog parent, right? We certainly have and we made our dreams reality. Please come and join us as we play music, talk and laugh, take pictures and videos, and make sure all our four legged family members leave happy and satisfied, ready to come back for more ! We will provide snacks and please make sure to bring anything extra you desire for their time here. (toys, specific food, blankets) We will be providing fun activities weekly, so sign up ahead of time to reserve your spot. We look forward to seeing you!! Wilsonville Veterinary Clinic strives to treat all our clients like family and each pet as if it were our own. We offer medical and surgical care for our patients, along with specialty reproductive care by a board certified theriogenologist (reproductive specialist). We provide preventive medical care (annual exams, bloodwork, vaccination, deworming, dental care), as well as treatment for sick or injured pets. Our surgical services include routine surgical procedures (i.e. spay, neuter and mass removal), along with more specialized surgical care (i.e. exploratories for foreign bodies, bladder stone removal and much more). In cases where a board certified surgeon is needed for more complicated surgeries, we can either have a specialist come to our clinic or we can refer clients to one of the many excellent boarded surgeons in the Portland area. We offer numerous endoscopic procedures (using minimally invasive techniques) including laparoscopic spays and neuters, cystoscopy (bladder scoping), rhinoscopy (nasal scoping), gastroscopy (stomach scoping for foreign body retrieval), otoscopy (ear scoping), and many reproductive procedures. We have state of the art anesthetic monitoring equipment and ventilators to make anesthesia and surgery safer for our patients. We also have digital radiography and a state of the art ultrasound machine which not only allows us to provide excellent diagnostic image for in-house care but also allows us to share images with specialists via telemedicine when necessary. Patients are seen by appointment only – please see our website regarding how to address your pet’s emergency needs. For more information about the reproductive services offered by the clinic (companion animal and equine), please see the Reproductive Revolutions website – www.reproductiverevolutions.com – there are links to this site from the Wilsonville Veterinary Clinic website’s home page as well. We look forward to providing your pets’ veterinary care!